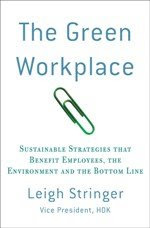 The Green Workplace: Happy Planets! I was cruising along the internet superhighway the other day and ran across the "Happy Planet Index." The Happy Planet Index rates countries based on ecological impact and human well-being. Essentially, it measures how much countries damage the planet against how long their citizens live and how happily they do. HPI measures 143 countries (99% of the world's population). This year's happiest planet country was Costa Rica. Overall, the countries with the highest HPI scores were located in Latin America (green on the map below). Note that NO countries scored highly in all categories, and we all have "a ways to go." The United States' score was a mere 30.7 out of 100, putting the country in the bottom of the pile. The good news is that the US scored highly for life expectancy and satisfaction; however, our consumption of natural resources was dreadful - 9.4 global hectares per capita. The global goal is 2.1 gha/person, meaning that in the US, we are using nearly four times our fair share. YIKES! How Green is Your Alma Mater?